Work is an essential pillar of a thriving life, and a crucial ingredient in the American recipe for upward mobility. But in this century, as the workforce participation rate has continued to decline and as our economy has been buffeted by globalization, demographic change, immigration, and technological advance, the prospects of many American workers have been imperiled. What does the growing automation of some industries portend for workers? How does immigration shape the opportunities available to American workers? Does our welfare system help or hurt low-income Americans reconnect with the workforce? And how do the changing circumstances of American workers translate into political pressures in this populist moment? 2016 Bradley Symposium: The Future of Work in America from Ethics and Public Policy Center on Vimeo. Tea sandwiches provided 11:30 a.m.-12:00 p.m.
GEORGE BORJAS is the Robert W. Scrivner Professor of Economics and Social Policy at the Harvard Kennedy School. He was awarded the IZA Prize in Labor Economics in 2011. Professor Borjas is a Research Associate at the National Bureau of Economic Research and a Research Fellow at IZA. Professor Borjas is the author of several books, including Immigration Economics (Harvard University Press, 2014), Heaven’s Door: Immigration Policy and the American Economy (Princeton University Press, 1999), and the widely used textbook Labor Economics (McGraw-Hill, 2016), now in its seventh edition. His latest book, We Wanted Workers: Unraveling the Immigration Narrative, will be published by W. W. Norton in fall 2016. He has also published around 150 articles in books and scholarly journals. His professional honors include citations in Who’s Who in the World and Who’s Who in America. 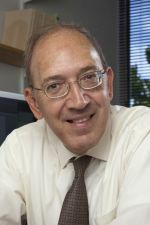 Professor Borjas was elected a fellow of the Econometric Society in 1998 and a fellow of the Society of Labor Economists in 2004. He received his Ph.D. in economics from Columbia University in 1975. 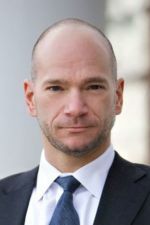 ANDREW McAFEE, a principal research scientist at MIT, studies how digital technologies are changing business, the economy, and society. His 2014 book on these topics, The Second Machine Age: Work, Progress, and Prosperity in a Time of Brilliant Technologies (co-authored with Erik Brynjolfsson) was a New York Times bestseller and was shortlisted for the Financial Times/McKinsey business book of the year award. He writes academic papers, a blog for the Financial Times, and articles for publications including Harvard Business Review, The Economist, The Wall Street Journal, and The New York Times. He’s talked about his work on The Charlie Rose Show and 60 Minutes, at TED, Davos, the Aspen Ideas Festival, and in front of many other audiences. HENRY OLSEN is a Senior Fellow at the Ethics and Public Policy Center. His work focuses on how to address, consistent with conservative principles, the electoral challenges facing modern American conservatism. This work will culminate in a book titled New Century, New Deal: How Conservatives Can Win Hearts, Minds and Elections. Mr. Olsen has worked in senior executive positions at many center-right think tanks. He most recently served from 2006 to 2013 as Vice President and Director, National Research Initiative, at the American Enterprise Institute. He previously worked as Vice President of Programs at the Manhattan Institute and as President of the Commonwealth Foundation. Mr. Olsen’s work has been featured in many prominent publications, including The Wall Street Journal, The Washington Post, National Review, and The Weekly Standard. His pre-election predictions of the 2008, 2010, and 2012 elections have been particularly praised for their remarkable accuracy. He has a B.A. from Claremont McKenna College and a J.D. from the University of Chicago Law School, where he served as Comment Editor for the University of Chicago Law Review. 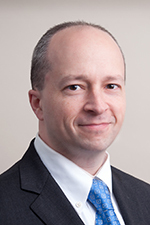 SCOTT WINSHIP is the Walter B. Wriston Fellow at the Manhattan Institute. Winship’s research interests include living standards and economic mobility, inequality, and insecurity. Previously, he was a fellow at the Brookings Institution. Earlier, he was research manager of the Economic Mobility Project of the Pew Charitable Trusts and a senior policy advisor at Third Way. 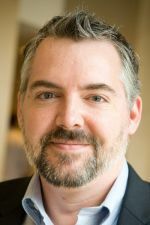 Winship writes a column for Forbes.com, and his research has been published in City Journal, National Affairs, National Review, The Wilson Quarterly, and Breakthrough Journal. He contributed an essay on antipoverty policy to the e-book Room to Grow: Conservative Reforms for a Limited Government and a Thriving Middle Class (2014). Winship has testified before Congress on poverty, inequality, and joblessness. He holds a B.A. in sociology and urban studies from Northwestern University and a Ph.D. in social policy from Harvard University. YUVAL LEVIN is the Hertog Fellow at the Ethics and Public Policy Center and the editor of National Affairs magazine. His essays and articles have appeared in numerous publications including the New York Times, the Washington Post, the Wall Street Journal, Commentary, and others. 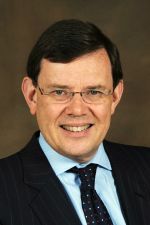 He is a contributing editor of National Review and The Weekly Standard, a senior editor of EPPC’s journal The New Atlantis and, most recently, author of The Fractured Republic: Renewing America’s Social Contract in the Age of Individualism.